M.T.H. RealTraxr standard gauge track is a durable track system ready-to-use right on your carpet, wood floor or dedicated layout benchwork. There are no plastic or metal pins to lose or confuse. Better yet, RealTrax performs efficiently and proficiently. RealTrax is constructed of sturdy ABS plastic, durable extruded nickel silver rails and simple yet sturdy electrical connectors. 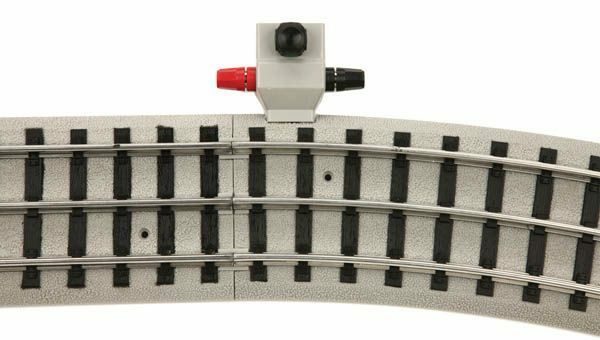 With its ruggedness and slim styling, RealTrax gives you years of trouble-free operation on either your RealTrax or your tubular rail O-Gauge model railroad.